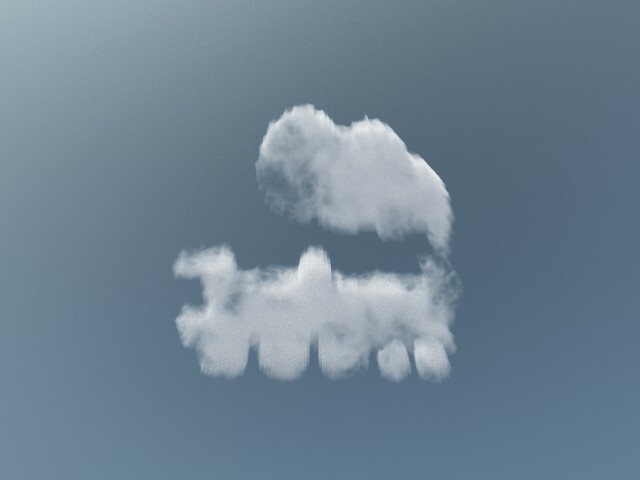 Have you ever wanted to make clouds that were shaped like words or objects in Vue? In this tutorial I’ll show you a couple of methods of making cloud shaped by cutting out clouds in shapes of my own design from cloud layers. Here are two ways you can do this yourself. This method works for all versions of Vue that can import objects (Vue Esprit and above or Vue Pioneer with the 3DImport module). 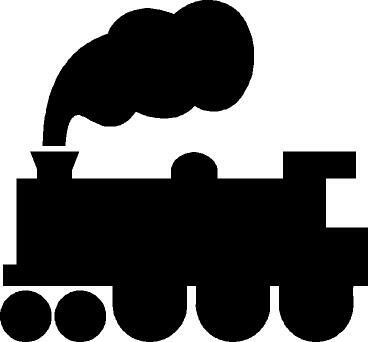 You will also need a modelling package to create the shape to cut out of the clouds. Create a mesh of a cuboid solid with the shape of the cloud you want to create in your modelling package of choice. Open Vue and load the sample scene I’ve created. This scene saves a lot of work fiddling round with the atmosphere and cloud settings. Import your mesh and place it so that it cuts through the cloud layer in the scene and so that the hole in the mesh will be inside the render area. You can use the Guide Cube in my scene as a guide to where to put your mesh. In Vue Infinite and xStream select your mesh and use hide from render to conceal it. In other versions of Vue use the transparent material on the Guide Cube to hide it. Delete the Guide Cube and the Terrain Object. First prepare the image you want to appear as a cloud. Produce a black and white image in the shape of the cloud and save it as a jpeg or other format that Vue can import. You may need to mirror the image so it will face in the correct direction once imported. Now select the Terrain and open it in the terrain editor. Select the picture option and load up the picture you made. If the shape is black on a white background you’ll need to invert the terrain. Use the Clip Min setting for the terrain to remove the lower lying altitudes to leave just your shape. Close the terrain editor and check that the Terrain object is taller than the Guide Cube. Make sure the Terrain object has the same material applied to it as the Guide Cube. This material is 100% transparent so it won’t show up in the scene. Create a Boolean difference of the Guide Cube and the terrain with the Terrain object as the second object selected for the difference so it is cut out of the Guide Cube. Make sure the Boolean object overlaps the cloud layer and that the hole in it falls inside the camera’s view. Bake the Boolean object to Polygons.